AMAZING!! OneNote 2007. A Great Tool! First of all . . . . I can’t believe that I haven’t written since November . . . WOW!! Well . . . my book proposal is almost complete and ready to be posted for editors and publishers to read (more on this later). I’ve been helped by a new program with which I am becoming familiar. I recently purchased Office 2007. With it came OneNote 2007. This is the program that helped me get my work, writing, and studies ALL IN ONE PLACE on my computer. Microsoft developed OneNote to track with the way we’ve been taught to think as students through all our years of school. 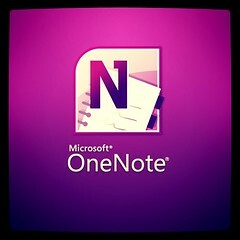 OneNote is a database set up as a library of Notebooks. Each Notebook is a subject or area which you define. You can assign sections/dividers in your notebook–just like in a real-world notebook. Then you can add pages to the sections. You can have as many different notebooks, sections, and pages as you wish. What’s amazing is that when you’re online and find a good piece of research or a quote or demographic, merely click the OneNote button on your Explorer and whatever you highlighted is placed in a notebook for you to later move to wherever you need it. That way you just continue your research or reading with no interruption. March 2007–on the March page are all my March entries (I began using OneNote in March so my previous months are not in OneNote. Instead, another helpful feature allowed me to place a link to my previous Journal (a Word Doc). I can click the link on my 1st Quarter page and it immediately opens that Word doc on my mini-drive. If I were you, I’d simply go to Microsoft’s OneNote website and download the demo and mess with it. Then check back here and a lot of what I’ll be saying will make sense.